but can party hard like the rest of them. - Crowlers will be available! - Karl the Fog is a hazy IPA brewed to celebrate SF Beer Week and the fog that calls San Francisco his home. Copious amounts of Mosaic and Citra hops create a juicy, tropical aroma. Flaked oats and wheat create a soft, pillowy body. Fermented with our House IPA #2 adding a floral, stone fruit complexity. Drink up to celebrate beer week, the fog, as well as our new crowler machine! - Q & A and some special extras! - Informal discussion on a topics stemming from hops to wine yeast. Sessions will be 15-30 minutes. - Watch as we install the second iteration of our chalk wall. Featuring famed chalk artist Tom Matousek! - Join in on the art: The Center for Community Arts will be hosting a Make and Mingle night in the taproom. Tickets Available. Our SF Beer Week wouldn't be complete without an ode to the beers that started Calicraft: Sparkling Ales. These are beers defined by their use of wine ingredients. From wine yeasts to wine grapes, these beers blur the line between beverages. 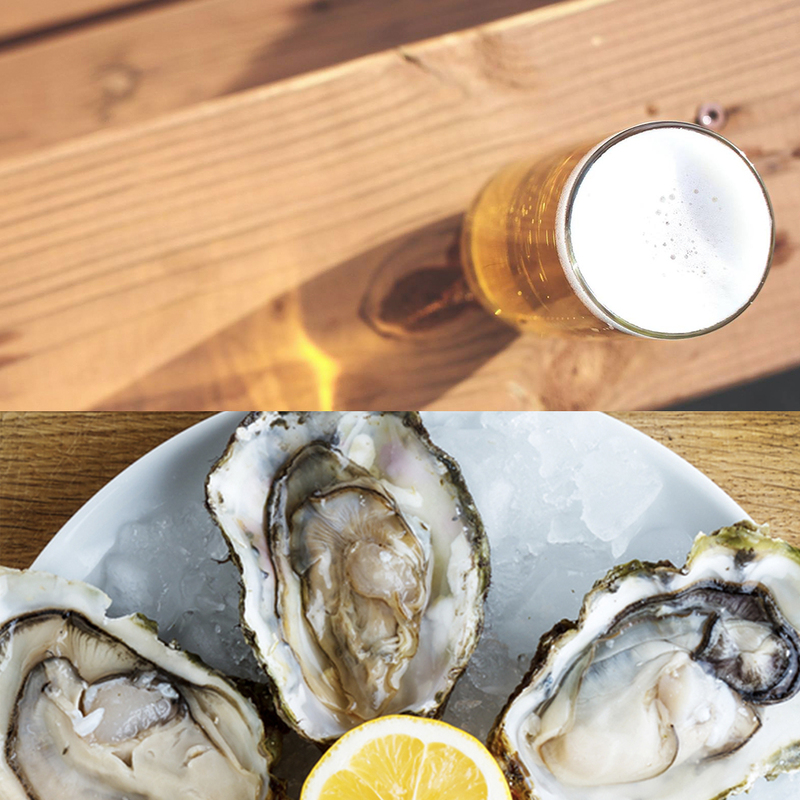 To show the versatility of the beverages, our friends at Fine & Rare SF will be bringing crab sandwiches and a variety of oysters to pair with our sparkling ales from 1-8pm. We will also be releasing the 2nd bottle in our Calicraft Reserve line: Reserve Rose. This 10% sparkling ale starts as a blonde. We ferment this beer with a red wine yeast strain and then add a blend of Zinfandel grapes, sweet and tart cherries, and raspberries. A fruit bomb while still being dry, with some grape tannins to give it backbone - its the best of beer, wine, and fruit. Our SF Beer Week wouldn't be complete without an ode to the beers that started Calicraft: Sparkling Ales. These are beers defined by their use of wine ingredients. From wine yeasts to wine grapes, these beers blur the line between beverages. To show how good our sparkling ales are with cheese, David Fleury, Certified Cheese Professional will be bringing a smorgasbord of different California produced cheese. Sip and Slide Food Truck will be crafting some original sliders to pair with the beers as well. Calicraft Brewing Co. and The New Parkway are ecstatic to present a truly unique beer and food pairing event to Kill Bill 2. Following the success of last year's Kill Bill Night at Sundance Kabuki Cinema, we decided it was appropriate to bring the action packed sequel to our favorite theater in the East Bay. Expect a rip roaring night of enjoying event exclusive beers and food created specifically to pair with chapters of Kill Bill 2. Think Tex Mex meets Japanese.